Hailed as a classic, Are We Smart Enough to Know How Smart Animals Are? explores the oddities and complexities of animal cognition—in crows, dolphins, parrots, sheep, wasps, bats, chimpanzees, and bonobos—to reveal how smart animals really are, and how we've underestimated their abilities for too long. Did you know that octopuses use coconut shells as tools, that elephants classify humans by gender and language, and that there is a young male chimpanzee at Kyoto University whose flash memory puts that of humans to shame? 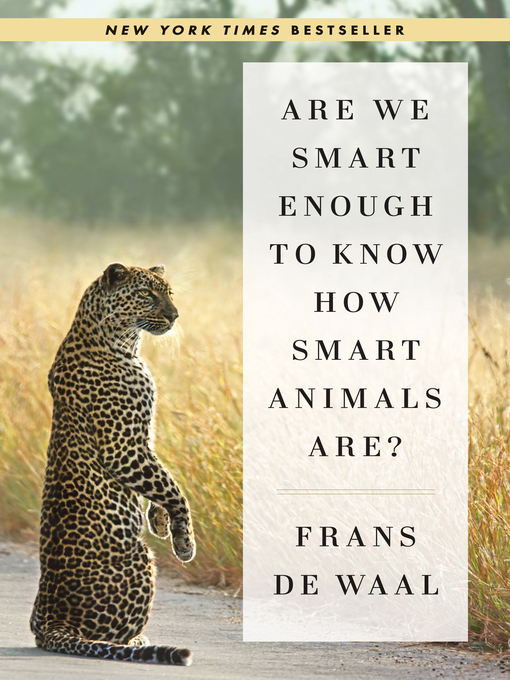 Fascinating, entertaining, and deeply informed, de Waal's landmark work will convince you to rethink everything you thought you knew about animal—and human—intelligence.